One year as elapsed, no matter how slutty one can be, time to change our looks. There is a new poster, slutier than ever, for your eyes' and senses' pleasure. I added also the toner-friendly version of it, for those of you so kind to print it and distribute it and hang it around! Lot's of love and gratitude to you, then! Yes, we autograph those posters on request! 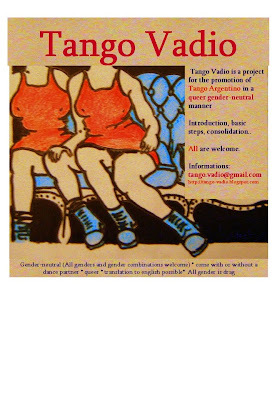 Love and thanks to all who have been a part of Tango Vadio!